best gps tracker for car, how to choose? 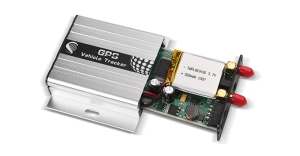 How To Choose Best GPS Tracker For Car? Nowadays, cars have become a necessity in our common life. But there are still car theft and all kinds of accidents. So how do we protect our beloved cars? We use our expertise to advise you. 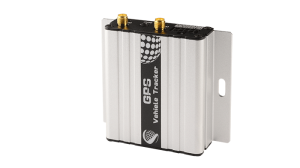 We recommend our best GPS tracker for car to you. Firstly, it can track by SMS and calling. If you send a command: W******,000 or call the device, it will reply with longitude, latitude, speed, and date. If you send a command: W******,100, it will reply with a link to Google Maps so that you can click the link to find your car. Secondly, detecting Lock Status of Car’s Door or Trunk (Car Boot). When the lock is opened, there will be a negative trigger to Input 1 or Input 2. After this, our best GPS tracker for car will send an SMS Alarm to the authorized phone number, or a GPRS alarm will be sent to the server. Thirdly, Speeding Alarm, Turn on speeding alarm. When the GPS device for car speeds is higher than the preset value, it will send an SMS alarm to the authorized phone number for SOS. Fourthly, it has a listening-in function. Authorize a phone number to make a silent call to the tracker. The tracker will answer the call automatically and allows the caller to listen to what is happening around the tracker. There is no sound when the tracker is working. Fifthly, it has powered down function. This command puts the device tracker in power down mode when it is inactive or immobile for a period of time. In Power Down mode, GPS stops working, GSM enters sleep mode and stops sending out messages. The device remains in this mode until it is activated by the message, incoming calls, movement, or triggered by the button. If you want more details about the best GPS tracker for car, please don’t hesitate to contact us and believe me you’re worth it.